This is again one of those products that was on my wishlist and I finally had the chance to try it out. Snail mucin is one of the star ingredients in Asian skin care and I have been hearing so much good things about this formula. It's safe to say, it didn't disappoint. 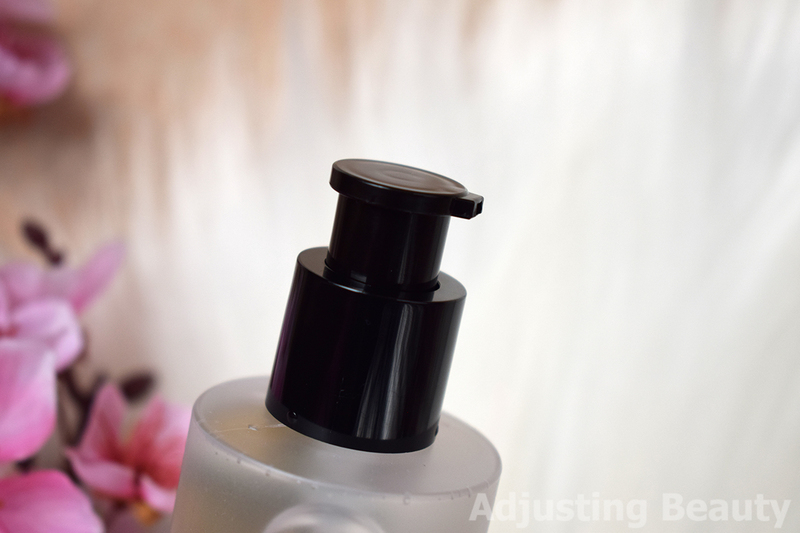 It comes in a plastic transparent matte bottle with black pump and plastic cap. I saw that COSRX recently changed the packaging, more specifically the cap. This long cap is tight and it's hard to pull it off without unscrewing the pump. Now they've made cap shorter, so it doesn't affect the pump screwing off, which is great. Pump works fine and you can control how much of the product you want. I received this product from Skin Trick, because they saw I had it on my wishlist and kindly offered to send me. It's Slovenian online shop that sells Korean products and it ships within Europe. You get 100 ml of product for 22.95€ (Skintrick). COSRX can do no wrong in my book. I have tried a few products from them already and few testers as well and they all impressed me. Their formulas are straight to the point, effective and in general gentle enough for my sensitive skin. 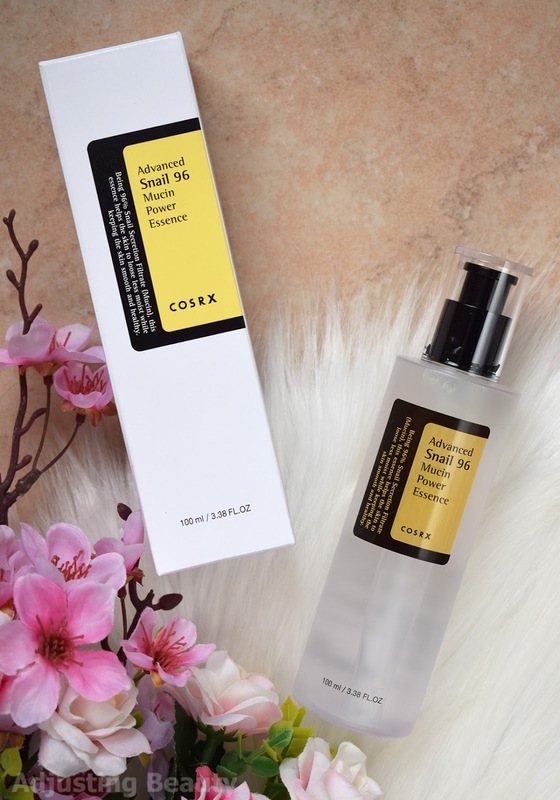 This snail mucin essence is COSRX best seller. It is formulated with 96% snail secretion filtrate (mucin). It will protect the skin from moisture loss and keep skin texture smooth and healthy looking. Snail mucin hydrates the skin, has the ability to repair dry, damaged skin and acne breakouts, while helping to minimize the appearance of fine lines and wrinkles. Snail mucin is basically snail slime and it contains ingredients like glycoproteins, hyaluronic acid and glycolic acid. It seals in moisture and allows active ingredients to penetrate the skin well. It prevents dryness and makes skin look dewy. Hence why this is one of the more natural anti-aging ingredients that is also less allergic than most store bought treatments. Some research also shows that it's an antioxidant and stimulates production of collagen, which means it also improves the appearance of wrinkles, skin's texture and quality in general and helps skin to heal. But don't worry, snails are not being harmed in the process of producing snail. Essence has transparent liquid gel like look, but it's quite viscose or slimy as some may say. It's not sticky, is lightweight and very smooth to spread on the skin. 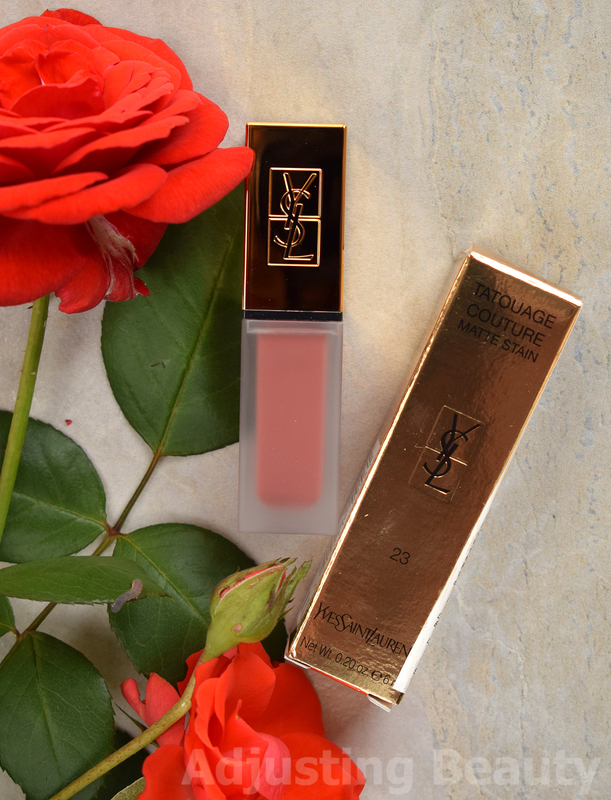 It feels like a lightweight hydrating and nourishing layer on the skin. 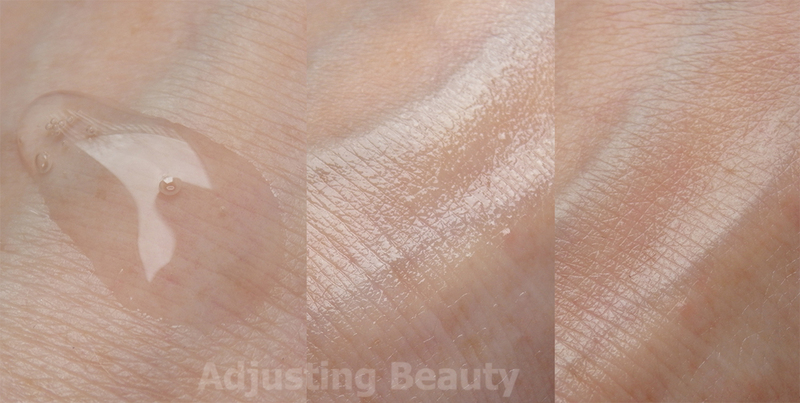 At first it's a bit dewy, but it soaks into the skin fast and gives it that natural almost not there sheen. 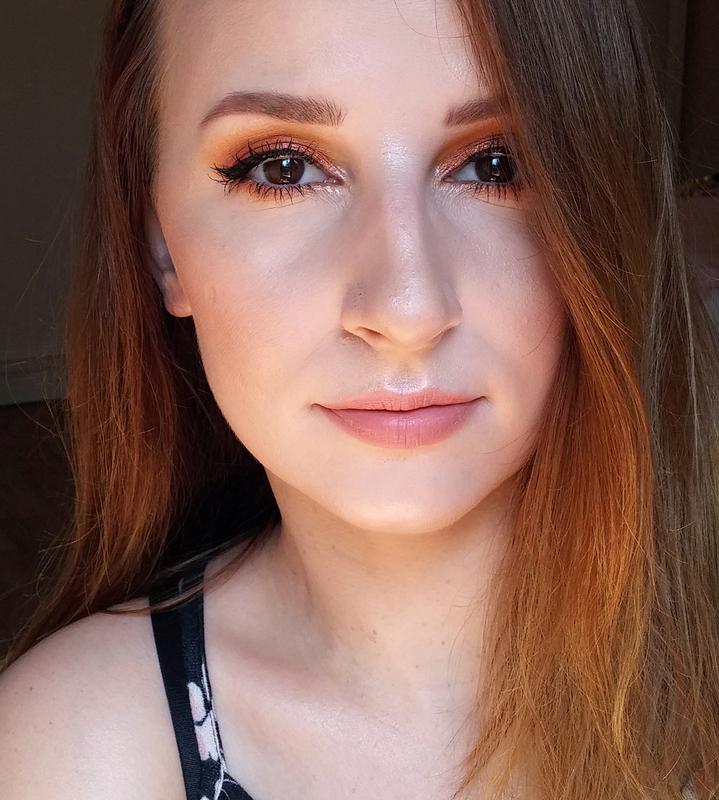 You need only one pump for the entire face, so a bit goes a long way. It's not scented, but has a bit of natural smell which is not unpleasant and very subtle. I have been using this for around two and a half months, almost every day in the morning and evening. Here is what I noticed. First of all, this is definitely hydrating. My skin was never really dry, expect for around my mouth, which I also used this essence on and it definitely helped. I feel like my skin has been more dewy these couple of months, which might be due to this essence. It made my skin plumper and it had a bit more bounce than usual. As for the anti-aging claims, I just realized about a week ago that my lines around the lips are not as prominent, when I wear foundation, as they were before. I didn't change my foundation or concealer, but I use retinoid sometimes, so it might be due to that too. I can't tell for sure. I have also been using this essence on my back where I have atopic dermatitis that results in small itchy patches, then red marks and dry flaky skin. This actually helped to heal the scars from scratching. I also noticed that it helped to heal pimple scars faster than usual. So I started to use it on my hands as well, but not as diligent as on the back and face and therefore I didn't notice the effects on hands. Honestly, I thought I would waist it too quickly, if I use it on my eczema hands, so I spare it for my face and other problematic areas. With two and a half month use I have used up about one third of the bottle. With all the effects that this had on my skin, I definitely think it's worth the price for me personally. I should also mention that there was no irritation on my sensitive, scarred skin, so I assume this would be great for acne as well. 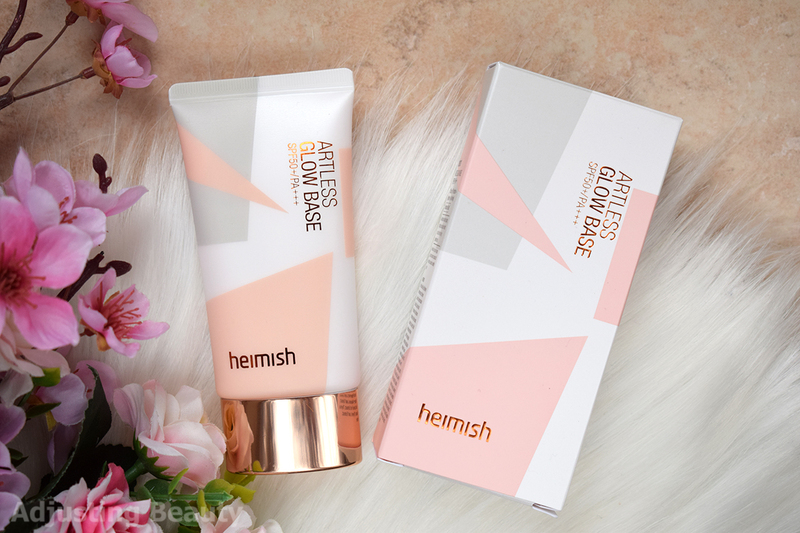 If you need more suggestions on Asian products, I have also reviewed this Heimish Artless Glow Base SPF50+/PA+++ which is a true multitasker. A primer, highlighter and sunscreen all in one. This is the best of skin care and makeup all in one. I have to say I am really glad that we have online shops in Slovenia that are selling Asian skin care. Our country seems to be opening up for more brands. Skin Trick was so kind to send me two of the products that were on my wishlist. With these two products I also got personal note (always so nice to receive), small Tic Tacs and two testers. If you never bought from Asian stores before, let me tell you, you almost always get some testers. I am happy to notice the same practice with Slovenian shops. Klairs Freshly Juiced Vitamin E Mask was OK, but I find the scent to be too strong and it wasn't really for sensitive skin. COSRX Low pH Good Morning Gel Cleanser I already had once and I loved it. It's the perfect second cleanse gel for combination or oily skin that helps with smooth skin texture and sebum production. 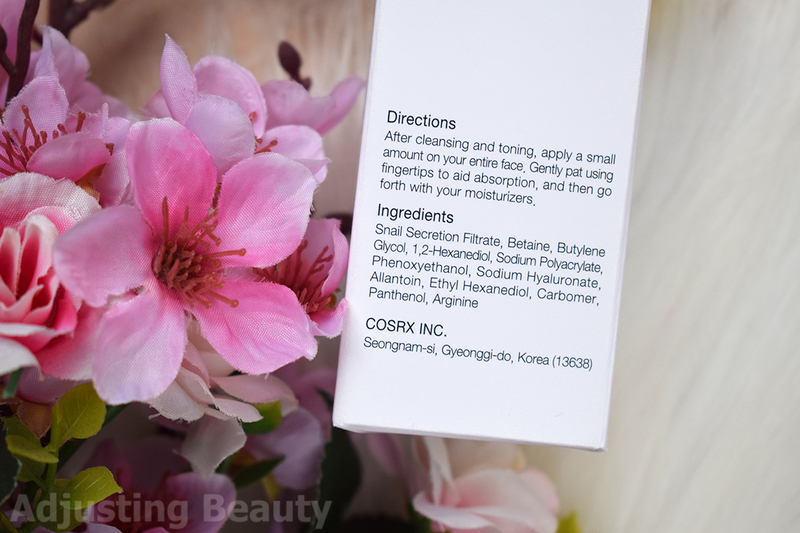 As for the COSRX Advanced Snail 96 Mucin Essence is concerned, I loved it. Texture is lightweight, a bit slimy (if you can get over that) and I like that it has no added fragrance. I was most impressed with healing ability and the fact that my skin stayed so well hydrated through those winter months. If you can get past the slime fact and you need something to keep moisture in the skin or to heal it, I highly recommend you to check it out. I may be as bold to recommend it to those with skin allergies as well, because it helped me. As for COSRX, I have many of their products still on my wishlist: COSRX BHA Blackhead Power Liquid, Aloe Soothing Sun Cream SPF50, Balancium Comfort Ceramide Cream and PHA Moisture Renewal Power Cream.